UNITED NATIONS, Dec 1 2012 (IPS) - On World AIDS Day, the fact that the number of children newly infected with HIV continues to decline is welcome news to UNITAID, the International Drug Purchase Facility hosted by the World Health Organisation. But UNITAID is also well aware of how much more remains to be done for children already living with the disease. 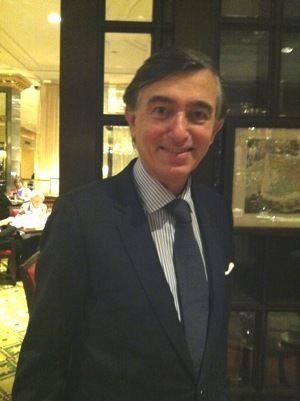 Philippe Douste-Blazy, of France, is a special advisor who promotes UNITAID and other sources of innovative financing for the achievement of the United Nations Millennium Development Goals (MDGs). “There was some progress made but there is still a lot to be done by the international community,” Douste-Blazy told IPS regarding the fight against HIV/AIDS. “Unfortunately we do not have enough money to achieve the MDGs by 2015,” he added. 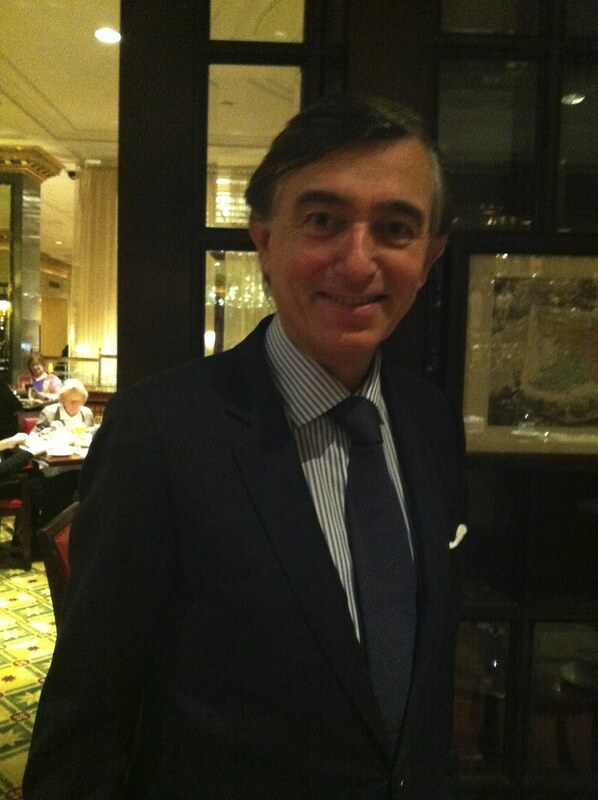 Douste-Blazy spoke to IPS U.N. correspondent Julia Kallas about the progress that has been made in preventing mother-to-child transmission of HIV but also how the international community must continue providing childhood HIV treatments to developing countries. Excerpts from the interview follow. Q: What is the current funding scenario for treating childhood HIV in developing countries? A: About 3.3 million children are living with HIV today. Unfortunately we do not have enough money to reach the Millennium Development Goals (MDGs) in general but in particular to reach the health-related MDGs – HIV, tuberculosis and malaria. We must find funding now because with the current economic crisis, we will see a dramatic decrease in Official Development Aid (ODA). It will be difficult for all countries to help. We cannot ask the Greek government, for example, to donate 3 billion dollars for development countries because they are seeing an increase in poverty themselves. So we are going to see an increase in childhood mortality. We have to create innovative financing for development. For example, UNITAID has placed a small tax on plane tickets. This funding helps combat childhood HIV. Children are rarely born with HIV in wealthy countries because mothers living with HIV are treated during pregnancy to ensure that their babies are born HIV-free. Still, more than 1,000 children are born HIV-positive every day – 99 percent of them in Africa. Only 28 percent are treated. We analysed what companies were interested in producing antiretroviral drugs. Our long-term funding gave suppliers the incentive to manufacture child-friendly formulations so we were able to buy pills for five years. Several generic suppliers that entered the market brought the price of the pills down by 70 percent. Before, no child was treated by periotic antiretroviral, but with an adult’s syrup, 18 times a day. Now with only two pills a day, children can be treated. Q: World AIDS Day is on Dec. 1. Should we be celebrating major progress? A: Yes. We can see that there was some progress made, but there is still a lot to be done by the international community. For the first time more than 50 percent of the 15 million patients who need antiretroviral therapy have access to it. It is also huge progress that we have 7 million fewer new HIV infections around the world, in particularly in Sub-Saharan Africa. Unfortunately in Eastern Europe, Russia and Indonesia, however, the infection has increased. Q: Can you talk about the development of the three-in-one fixed-dose combination AIDS medicines for children? A: Since its creation UNITAID has been working on combating paediatric HIV by creating a market for quality child-friendly antiretroviral treatments. Before, there was no incentive for pharmaceutical companies to invest in child-friendly antiretroviral drugs. HIV treatments for children in low-income countries were syrups designed for adults – up to 18 foul-tasting doses a day. So the three-in-one fixed-dose combination AIDS medicines for children are a major innovation, from 18 doses a day to a pill twice a day. It is huge progress. Every year UNITAID finances the treatments of more than 100,000. Now is the time to follow up on our work with paediatric HIV. Q: How should the new post-2015 sustainable development agenda address HIV/AIDS, and what can be done more effectively? A: We cannot continue if we do not have money. Every head of state, head of government or member of parliament says we are going to reach the MDGs. It is not true. To combat HIV we need three things. First is prevention. We need to help prevent high-risk people such as prostitutes and homosexuals from becoming infected. Secondly, we must ensure universal access of treatment. Only 54 percent of adults and 28 percent of children are being treated today. Finally, we need to raise funds to achieve the MDGs – we need more innovative financing. With UNITAID, we proved that this is possible. Q: Can you talk more about the one-dollar plane tax idea created by you, former Brazilian president Lula and former French president Chirac? What needs to be done to get more countries involved in this project? A: UNITAID’s funding model is based on an air ticket solidarity levy. Every American who goes to France is going to pay one extra U.S. dollar to support our program. It is the same thing in 15 other countries. In five years we raised 2.5 billion dollars, and it is predictable, sustainable funding. For the traveller, it is painless – people who can pay for a plane ticket can easily pay an extra dollar. It is not even the price of a coffee. With this funding we help combat childhood HIV. Eight out of 10 children are treated thanks to this system. Now we are working to convince more countries to become involved in this program.